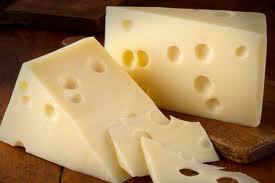 Sometimes I feel like Swiss cheese of a person. I have holes in me that seem to still have question marks – still ache from time to time. Grief reminds me of my holes. Each one has a label of sorts. Some days I spend time wondering about what would have been with my holes. You see because grief leave a mark and void in our being. We learn to compensate and function through these holes, but they are real and very present. Some of my holes ache in simple ways. I miss everyday things and routines that could’ve been. The other day I was thinking about my dad. He loves gardening and traveling. We used to have a big garden and evidence of mysterious places ventured around the house. Looking back it makes me wonder… I wonder what life would’ve been like for me on those everyday levels had he not started a new life. I wonder about what different memories I would’ve had in my life had those small things been around. There is deep grief that is felt when change happens. I ache over small and everyday things that I miss. I am not a person who likes change, especially when it is a result of hurt. Small things are just as valuable of memories as the big things. Smells, words, and familiar places can bring out memories and questions. I think it is okay to take the time to touch the scars and feel the ache. Every chapter of life will bring on different stings to grief, but it will also bring on new healing. Grief is not a linear process. It has no warning or timeline. Grief only has a Healer. Joy and sorrow are harnessed together for life. What kind of every day things do you miss right now? How are you experiencing grief these days? “There is something you must always remember. You are braver than you believe, stronger than you seem, and smarter than you think. We all have circumstances that we are facing. We are fighting battles that seem to take every ounce of energy we’ve got. All circumstances affect our lives. Some we walk ourselves into, and some receive no invitation at all. There are some circumstances that we can move through with ease – lasting a moment. However, there are some that take a lifetime to heal through. Our lives take dealing with. It seems a bit like playing a hand of poker. We are all dealt a few cards, some we can trade in for new ones, but inevitably we have to learn how to play with the hand we hold. Every hand challenges our survival skills, character, reasoning, functioning, and faith. About fifteen years ago, I felt like I was dealt the cards of tragedy. I went from a “normal” home that had routines, vacations, and rules to one of brokenness and divorce. My world shattered through the confessed words of my father’s affair. What do you with the cards in your hand that hold the full house of grief? What do you do when your life is forever changed in ways you never asked for? Grief is a lifelong process. It is not linear in nature. It has no timeline or warning. It is known and felt in every season of life. Grief only has a healer. The truth about every circumstance is that we learn just what we are made of. Challenges bring out the deepest parts of our character in how we handle fear, insecurity, and doubt. BUT I promise that you will also learn that you are smarter, braver, and possess more strength then you imagined you had. This week I am going to talk about glimpses of my life’s grieving process written in a book that I was a contributing author for. Inciting Incidents just released this past week. I am so excited. I, along with six other authors, dive in depth into our own stories, unpacking our personal inciting incidents. If you want to get your own copy and read more go HERE! What circumstances are you facing right now? The sound of shattering glass makes me immediately respond with a cringe. Anytime I hear the sound of glass shattering – even a vase or cup dropping – my shoulders go up and my face cringes. You know you have that “oooh” response when you hear a waiter drop a tray of glasses. 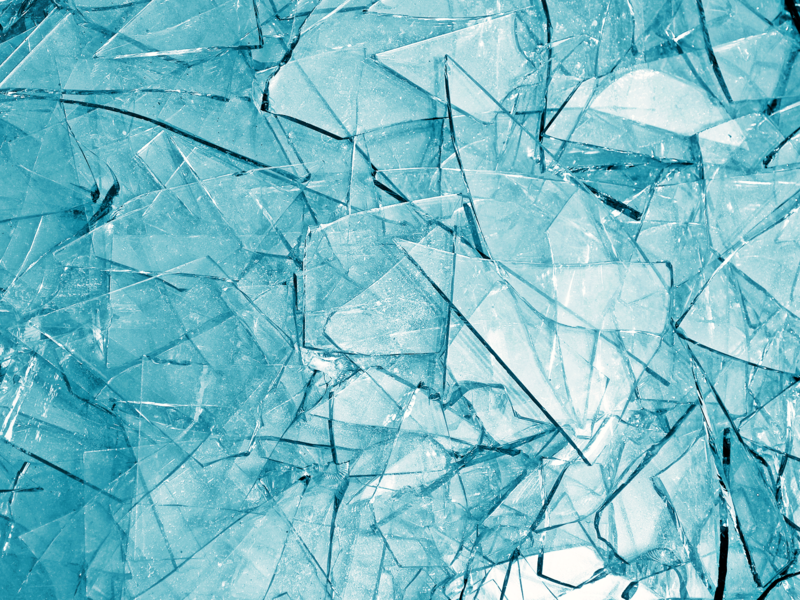 Shattered glass has a distinct sound. Shattering makes the sound of spilled pieces. What about when it happens to your heart? The sound of a shattered heart looks silent, but it makes the sound of spilled tears and sobs. Yet, I still make the same cringing face when the heart shatters. I have the honor of being a contributing author for a book being published in September. I never thought I would be published or be an author of really anything. I am beyond grateful for this opportunity. I spent months crafting the pages of my heart’s story in Word form. This has been no small thing for me to tackle. Writing this chapter has forced me to look back over the shattered pieces of my heart. I cringed daily as I tried to put words to my shattered pieces. My heart has endured some shattering through the messiness of a broken home, broken trust, broken relationships, broken survival skills, broken dreams, and just a broken me. I sat for a long time starring at the pieces of me. The sound of my shattered heart can still be heard through spilt tears. I have no idea where those pieces go. I have no idea how to heal in some areas. However, I am grateful that He knows how all my pieces fit back together. There are also new pieces I have discovered and still working on putting words to. My tender heart still cringes at the sound of risks that end in shattered pieces. No piece is missing. No piece is extra. Every piece matters. The process has been so bittersweet for me. However, it is always worth picking up the pieces. Piece by piece, I am healing towards a whole heart. NO piece is missing. Every piece matters. Risk to place your pieces in the hands of the one who mends us back to together. I am not a person who heals well. I have scars and weak tenants from not taking the time to heal. I have been a very active person my entire life. I grew up playing on two to three sports teams every season. I would play hard. This often led to injuries. I have sprained just about everything. My ankles are the worst. I hated rolling my ankles. I would be running fast, step or land a wrong, and POP! I would get so ticked! Our body needs a good six weeks or longer to heal from sprains and breaks. I always thought that was a strong suggestive time frame instead of a necessity. I usually was back on my game in two to three weeks. I often wondered why I would reinjure myself so fast. I wondered why the body pain I felt would come on stronger and faster each time. You think after the second or third roll I would learn…Nope! Sitting here now, years later, I can feel the places that have not properly healed. I wonder if I would be stronger had I just taken the time to heal. This is true for my heart as well. So often I do not take the time to feel and heal through hardships, wounds, and pain. So often I just move on, but yet wonder why my tears and frustrations would come on stronger and faster each circumstance. Band aide management was my survival skill of choice. Band aide management is when we just use a quick fix, or temporary patch work method, to cover the pain. This does not work. Band aides do not work if you need stitches. Infections happen if wounds are not cleansed. Healing takes time. It takes committing to the hard to get to the healing. When I was in private practice, I had numerous “short-term” clients who would decide not to return when the process started to get to hard. Sometimes within the process of healing, life can feel like it is getting worse before it starts to get better. There is pain when wounds are reopened. You have to rip off the band aide so that healing can begin. All pain, wounds, and breaks have the necessity of proper care, not just strong suggestions. Healing needs time. I am NOT saying, “time heals all wounds,” because a lot of time can pass, but that does not mean any work was done. I am saying that healing, of any kind, takes participation in the hard to get to the healing. That is no small or short-term process. How are you with working through the hard to get to the healing? No one really anticipates when life takes a turn for the “forever different.” No one necessarily sees it coming. No one intentionally invites pain and the wounds that take a life time of grief to process through. Would love to hear your thoughts and answers!! I read a quote that has been perfect timing for my season of life. Grief is just hard. Feeling the impact of loss is a very real and on going thing. There is no time line or warning for grief. After natural disasters strike, we are captivated by pictures of devastation. The voice of loss is always louder than the voice of survival. What we have, what has survived in and with us, matters so much. It is like looking down and seeing a flower in the midst of a warn down battlefield. The hint of life in the midst of loss is a miracle. Gratitude changes the perspective of every situation and circumstance. Even if you are not experiencing loss, gratitude is still life changing. What are your signs of life? The last stage of the grieving process is the most coveted place to be. Resolution is the desired end within the whole process. This is probably the hardest stage to get to. Resolution is coming to the place of acceptance and closure within your grieving process.I say this is the coveted stage because this is the place where you find your breath again. Resolution is the place where you exhale and know sweet peace. Resolution feels like the dawn is breaking on the long dark night of your soul. Let me remind you that the grieving process is not linear. Even once you reach resolution, you will find yourself still bouncing back and forth between stages that are unique to you and your pain. However, the hope is that with resolution comes more time in between your jumps. Resolution is not the end of the roller coaster ride that you did not sign up to be on. Resolution is just one piece that is necessary in moving through the wounds of your heart. Acceptance is a really hard place to get to. Acceptance requires forgiveness, the loosening of your tight-fisted grip on your pain, and letting go. My father has been gone for over 15 years now. He has been gone for half of my life. It is strange to think that he has now been gone the same amount of time that he was present. As I look back on those years, I see all the time I have spent in the grieving process. I have spent half of my life working on hard sorrow because of the decisions of another. Granted, I have made my own bad decisions that have contributed to the hardship of the process, but I am still facing the battle. Looking back, I can see how much God has changed me and healed my heart. I have spent less and less time making trips back and forth through the five stages. The storm of my story seems to be seeing more tranquil days. No matter what stage you find yourself standing in, or maybe for you, taking up residence in, let me assure you that peace is possible. The dawn of your dark night may seem like a dream, but I promise that there are days of exhale to come. Your life may be filled with more than one wounder, striking with more than one arrow, but each wound has its own process and its own resolution to get to. The process of grief is your own. Please hear me when I say it is YOUR OWN. Take the good days when they come, and allow the bad to be felt through. No one knows your days but you. Grief has not time limit. I am not saying stay stuck, but please do not let anyone else dicatate your process. Your heart is yours. How have you known resolution in the midst of your grief?